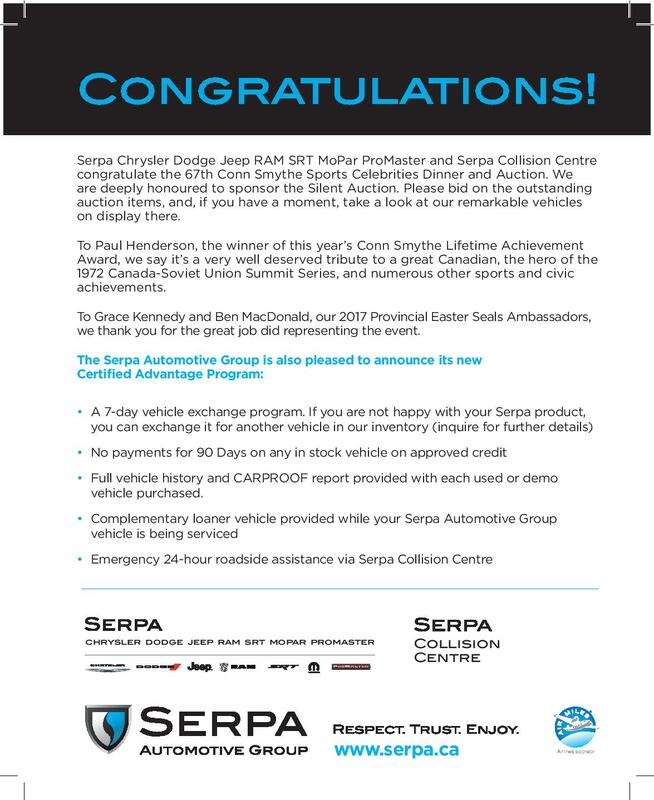 This February 7, Chrysler Dodge Jeep RAM is supporting the Conn Smythe Easter Seals Sports Celebrities Dinner and Silent Auction, which we are sponsoring. We’ve been involved with this important fundraising dinner since 2010, a great source of pride. 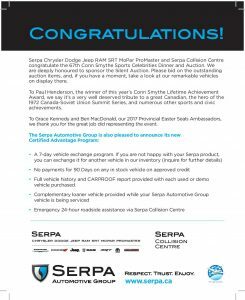 We congratulate hockey hero Paul Henderson, receiving a Lifetime Achievement Award, and Grace Kennedy and Ben MacDonald, who have been such excellent Ambassadors this year for Easter Seals. If you’d like to buy tickets or support the dinner, click here: Conn Smythe tickets.